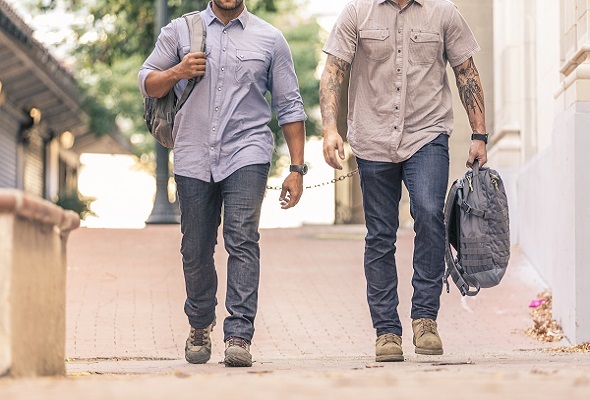 Your pant size is your business – but when you’re shopping for tactical jeans, you need a pair that’ll comfortably fit your IWB holster. The best jeans for CCW leave you enough room to attach and wear your holster without making it obvious that you’re carrying – but adding a couple of inches in the waistband can change the way they fit. Here’s how to pick tactical jeans that fit you and your IWB holster. You need a bigger waistband than you usually buy, but how much bigger depends on what type of firearm you carry, how hefty your holster is and where you carry. Think of your waist in geometric terms. You need a waistband circumference that’ll accommodate your body and your holster. You can’t just add a couple of inches and hope for the best – but you don’t need to break out the graphing calculator, either. If you’re carrying a Glock 19 without a holster (don’t! ), you need a waistband that’s 3.5 inches bigger than what you normally buy. Apply the formula to your gun’s measurements when it’s in a holster and you’ll be able to find the right-sized waistband. What About Where You Carry? When you carry on your side, you’ll need a bigger waistband than you will if you carry in the small of your back, where there’s usually a little extra room. If you’re not exactly sure how that’s going to pan out, swing by your local 5.11 with your holster to try on a few pairs of tactical pants. A good tactical belt will help make up for a roomy waistband, but nothing short of leaving your pants unbuttoned will compensate for one that’s too tight. Skinny jeans look best on people with slender builds. If you intend to carry in skinny jeans, choose those made from stretchy denim to give yourself as much room as possible. Because skinny jeans are supposed to hug your body, they’ll most likely show your holster’s profile. Slim jeans leave you more room in the thighs and calves than skinny jeans do. The best CCW slim jeans are made from mechanical stretch denim that provides plenty of flexibility. Straight-leg jeans don’t taper in the leg – it’s a straight shot from the top of the thigh to the ankle. 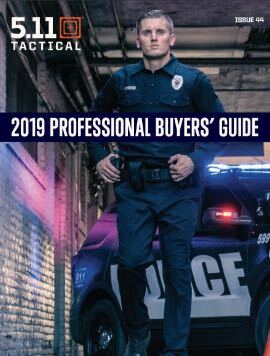 If you buy the right size, this style or boot-cut jeans might be your best bet for carrying concealed because they aren’t so snug that they mold to every detail. Good straight jeans for CCW have fitted waistbands and are made from stretch denim. Boot-cut jeans are a lot like straight-legs, but they taper at the thigh and flare slightly from knee to ankle. The rise of your pants is the distance from the crotch seam to the top of the waistband. Usually, it falls between 7 and 12 inches. Mid-rise is the happy medium for most people – it’s where they naturally reach for a firearm. Low-rise is tougher to size properly for IWB carrying, particularly for women, because the circumference of the waistband needs to be wider. Finding tactical jeans that fit your IWB holster is all about getting the right measurements and picking a style that works for you. Most holsters are slim enough that you can add a few inches to your waistband without sporting pants that are too baggy for your frame.